Our goal is to provide professional, innovative, and quality work exceeding your expectations. us. Click on any photo to enlarge and view. We pride ourselves on knowing the best products for the wood and the project. New kitchen cabinets, counter-top, raised bar flanked by two tower cabinets. 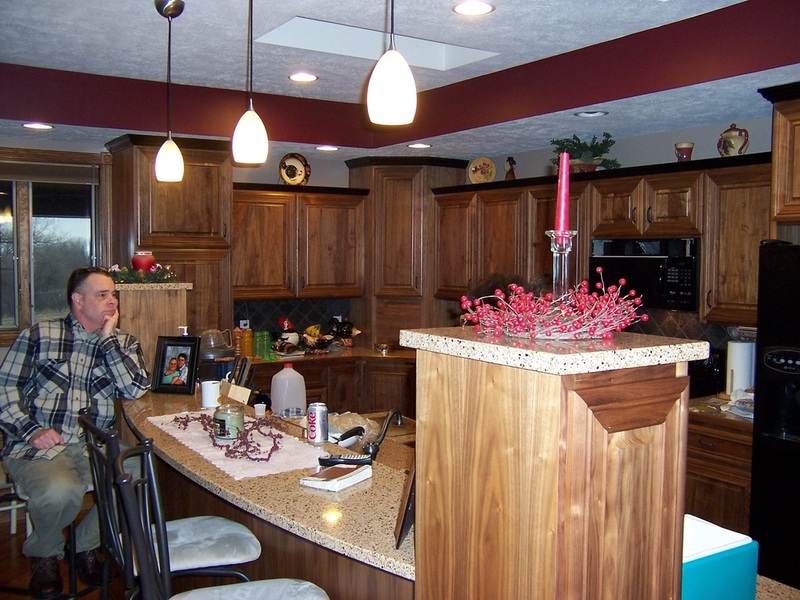 The cabinets are made of black walnut, clear coated, with black crown mold. Coffered ceiling in maroon. Exposed beams, all wood ceilings, tongue and groove, called car siding. 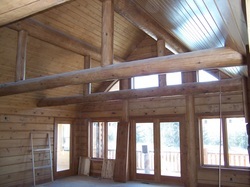 We apply waterborne stain and finish to the interior. This keeps the odor down and provides a beautiful finish for cabin interiors.